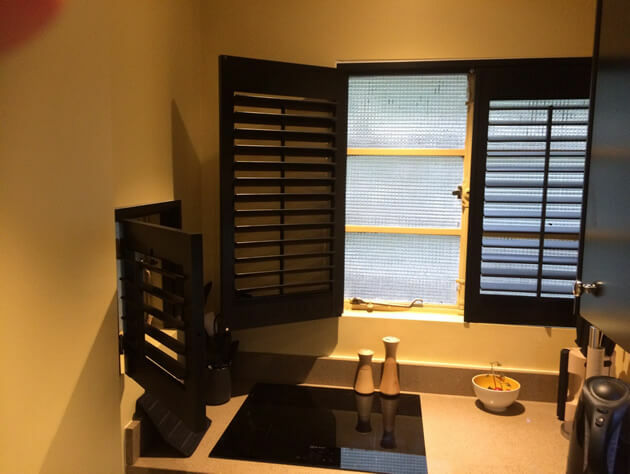 A customer from Chelsea in South West London recently contacted us looking for shutters to be fitted in the kitchen and bathroom of their property. 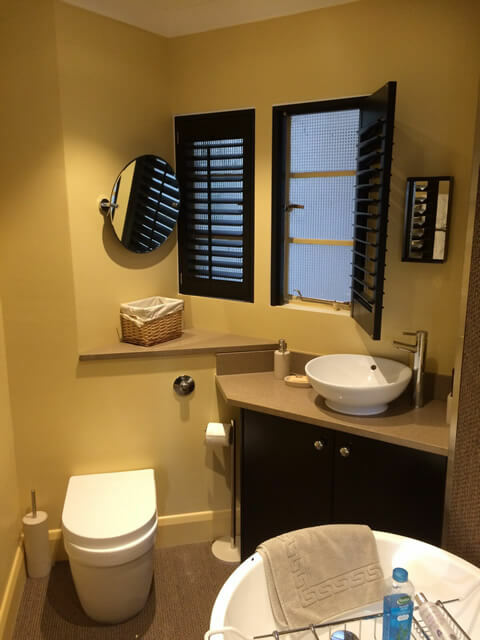 With the same decor in both rooms they were looking to have matching shutters designed and installed for a range of different size windows. 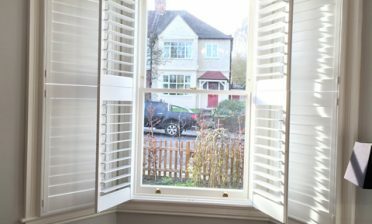 Because all our shutters are bespoke made we can tailor the same look of shutters to all shapes and sizes of windows and openings, to create the perfect match throughout your home. 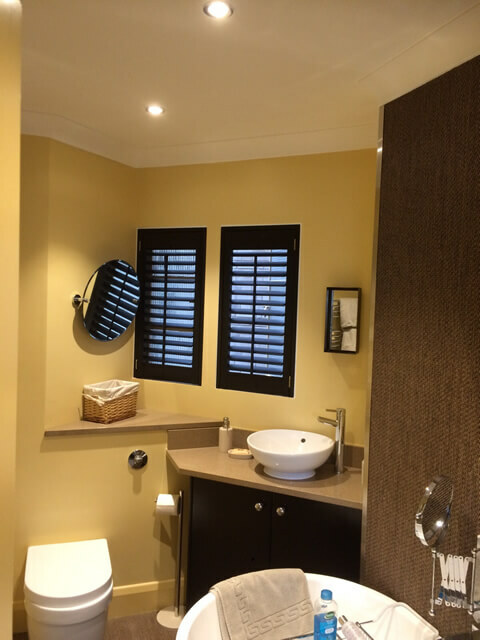 We created the shutters from our Fiji Range which is made with the perfect material for the job. Using a beautiful hardwood which is naturally water resistant, it works very well with areas where there may be regular contact with moisture and water. 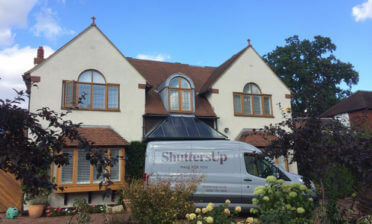 This range can be finished in a huge range of paint colours and stains and installed almost anywhere throughout the house, as it can be custom shaped to fit all shapes and sizes of window. 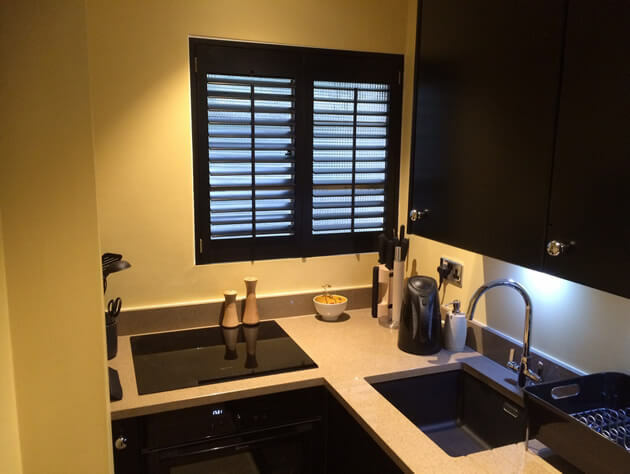 All the shutters were created in a full height style which really helps to modernise the window areas where they have been installed. 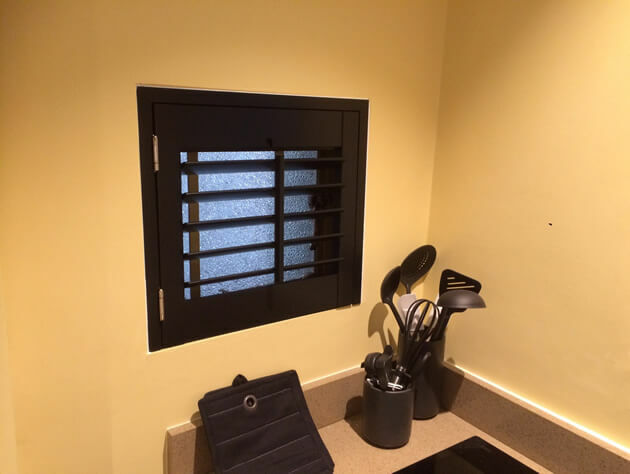 They were painted in a custom colour Black to match the existing black parts of the decor and use nickel plated hinges for opening and closing. 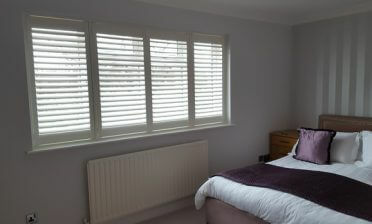 They feature 64mm louvres with a central tilt rod for adjustment of the louvres.